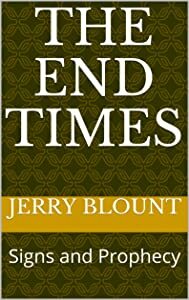 The end time events explained in an easy to understand format. The countdown has begun. 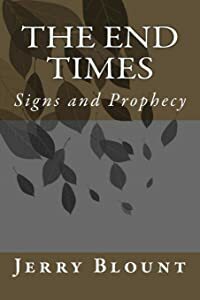 Learn what comes next, the signs to look for and what you need to know to be ready. What will Heaven really be like? The Bible reveals to us what heaven will be like. Yet it will be much different than most people think. Heaven will be an exciting and wonderful place. Proof that Jesus lived was crucified and rose again. Learn what the secular writers and historians of Jesus’s day wrote about him. All about angels. Learn the hierarchy of angels. How they are involved in our daily lives. Do we have our own guardian angel? Satan, his demons, and the invisible spiritual battle. Broken marriages, depression, suicide, divided churches, divided families, and doubts about God are the result of the spiritual war being waged against our families and us. Proof the Bible is the divine word of God. Over 100,000 archaeological discoveries have documented the scriptures. There are over 2500 prophecies that have been fulfilled. The Bible contained wisdom and advanced knowledge about nature, prophecy, medical, sanitation, and science. A knowledge that was thousands of years ahead of its time. Do you know if you are going to heaven? You can know for sure. The Bible is very specific about it. This book is available at Amazon, Barnes and Noble, WestBow Press, Goodreads, Google Play, and other bookstores. 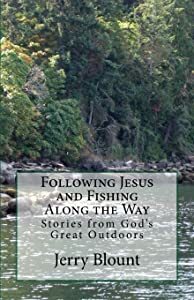 “Jerry Blount’s book Things You Probably Didn’t Learn In Church explains things very clearly and backed up by a lot of scripture. It’s a very encouraging book. One thing I liked about it was that, when it was talking about what will happen when the world ends, the book didn’t try to stir up fear, but instead, shared practical, helpful things we can do about how to deal with what’s going on then. Like “here’s what we know, and here’s what to do about it.” The book also addressed a lot of common questions and misconceptions. I realize I am not a scientist. However, I have brought together the findings of geologists, biologists, microbiologists, paleontologists, paleobotanists, astronomers, physicists, astrophysicists, biophysicists geochronologists and many other experts to prove that the Bible is 100% accurate. This book provides proof of a Biblical worldwide flood and backs it up with geological data. The information in this book offers evidence of creation by an omnipotent God and a global flood as God’s judgment of a sinful world. It provides evidence as to what the earth was like before the flood. It was a world, that after creation God had declared very good. Even after the fall of man, it was still paradise compared with the world we know today. The effects of catastrophic worldwide flood changed this planet drastically.